Photo at the top of Bernal Heights, shot with the iPhone 7 Plus. On my way to watch the sunrise this morning, I saw a coyote walking around in the middle of the road. There was a woman curiously chasing them around. She introduced herself to me, sharing some basic guidelines around coyote interaction and safety. If you want to learn more about Coyotes in San Francisco, check out Janet Kessler’s blog. 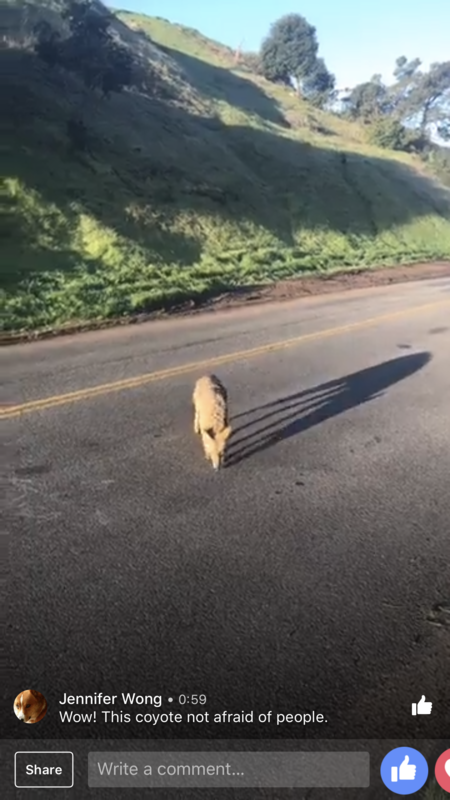 Screenshot from my Facebook Live stream of the Coyote. I’m kind of bummed that I didn’t bring my camera along with me this morning—it could have been a great photo opportunity. Instead, I shot a Facebook live video. According to my conversation with Janet, coyotes were hunted for such a long time that they virtually disappeared from San Francisco; however, in recent years they’ve come back and repopulated. The coyotes roam along the streets, often chasing and stopping cars. People typically feed them, which encourages this unusual behavior. 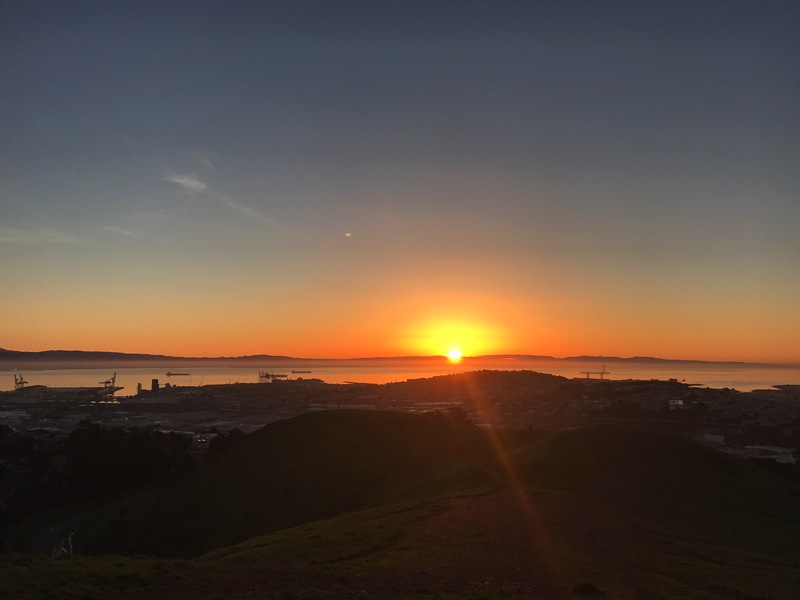 Panoramic photo of the sunrise from Bernal Heights. As the coyotes return, Janet explained to me that everyone in San Francisco will need to find a way to co-exist with them without feeding them, similar to raccoons or skunks.